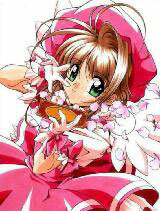 You are going to Watch Cardcaptor Sakura Episode 13 English dubbed online free episodes with HQ / high quality. Stream Anime Cardcaptor Sakura Episode 13 Online English dub Sakura and the Elephant’s Test of Strength, Sakura’s class is visiting the zoo for a field trip and her group is assigned to observe the elephants. Near noon, something begins to break open the cages causing chaos among the visitors and Kero is positive it’s a Clow Card. The Power card, although invisible, begins to torment the elephants and Sakura steps in to save them by challenging it to a game of tug-of-war. Sakura is no match for the Power card even with the help of the elephants. Just as Sakura is about to lose, Syaoran uses the Time card to stop time to help her win the battle, thus tricking Power into surrendering.